Our modern railing systems are truly something to behold. With styles ranging from glass to wood to stainless steel and cable to downright futuristic, post-modern engineering masterpieces, these unique designs are beautiful as they are durable. Composity fully represents the concept of the smart design applied to the interior stairs. 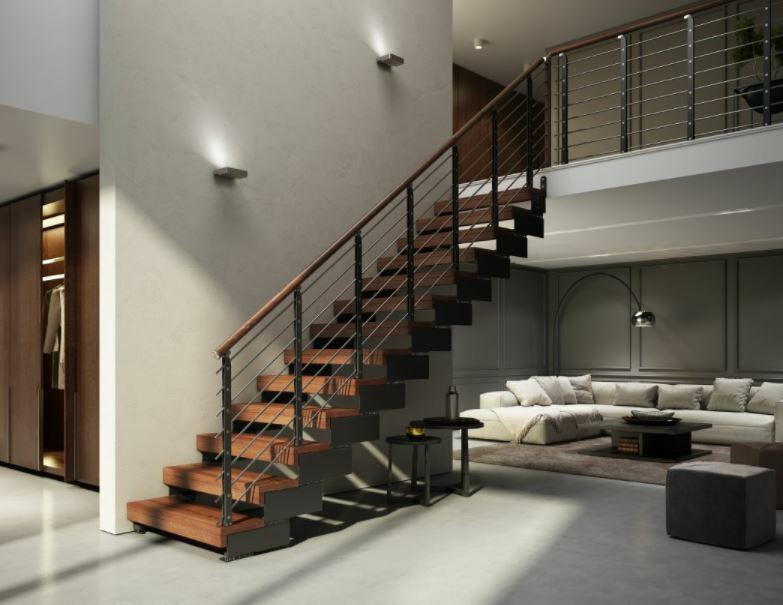 The union of a modern and minimalist design (typical for the steel stairs) with the advantages and pratical sense of modular and adjustable stairs makes the project revolutionary. By far our best seller, this beautiful marriage of modern with natural woods is a jaw-dropper. For any home owner, this railing upgrade is a masterpiece and a conversation starter. Enhance your home or office, dazzle your guests or clients, and treat yourself to a gorgeous modern railing system that will last for years. We also offer a more industrial modern look with out cable-wire and stainless tube (Rod) systems. 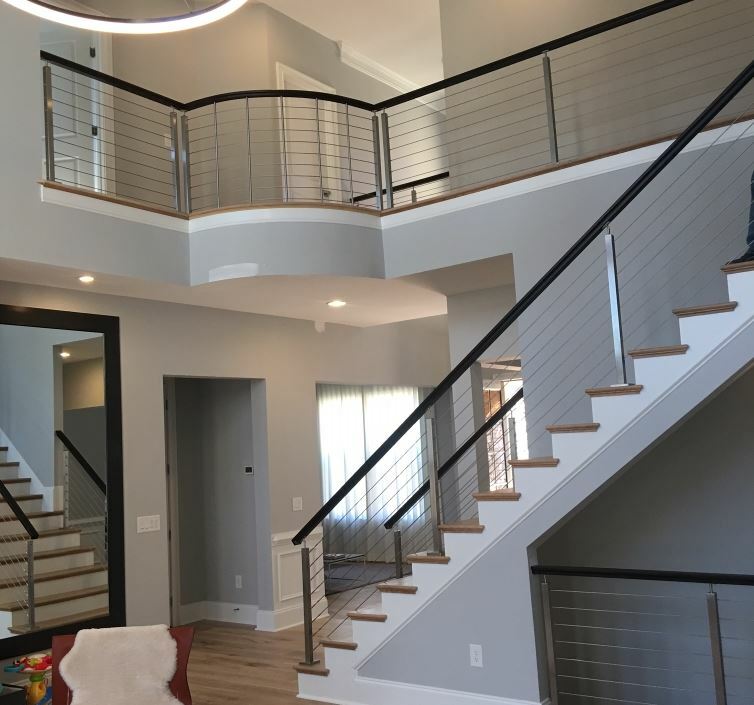 When considering a type of modern railing system, be sure to check out our wide selection materials and designs as well. 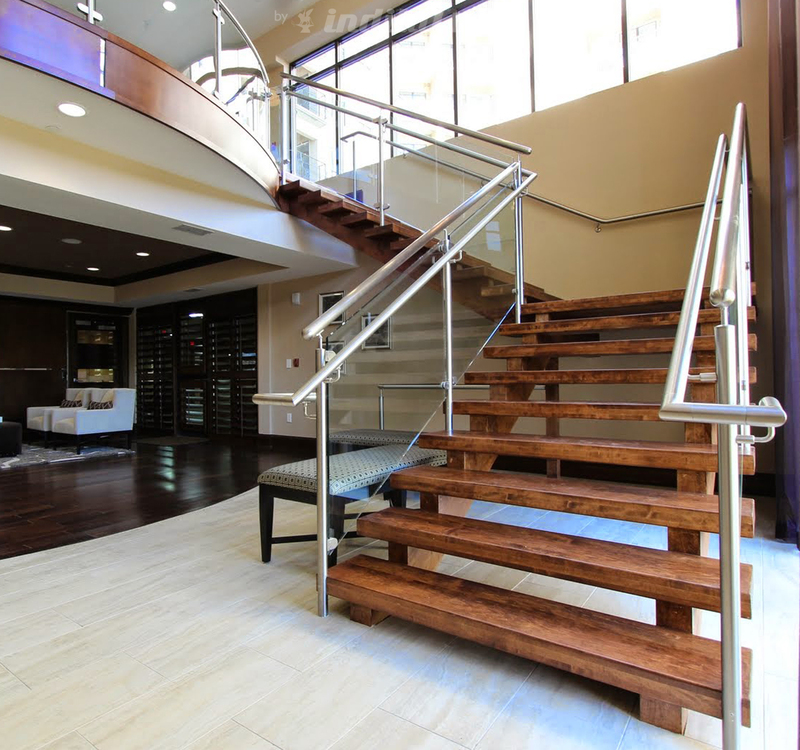 If wood panel or stainless railing systems don’t quite match your design tastes, we recommend considering one of our beautiful and durable glass panel railing systems. These ultra-modern designs will visually amaze and delight your guests. Short on space? Who isn’t? Let Stair Solution be your go-to company for any and all space-saving needs.